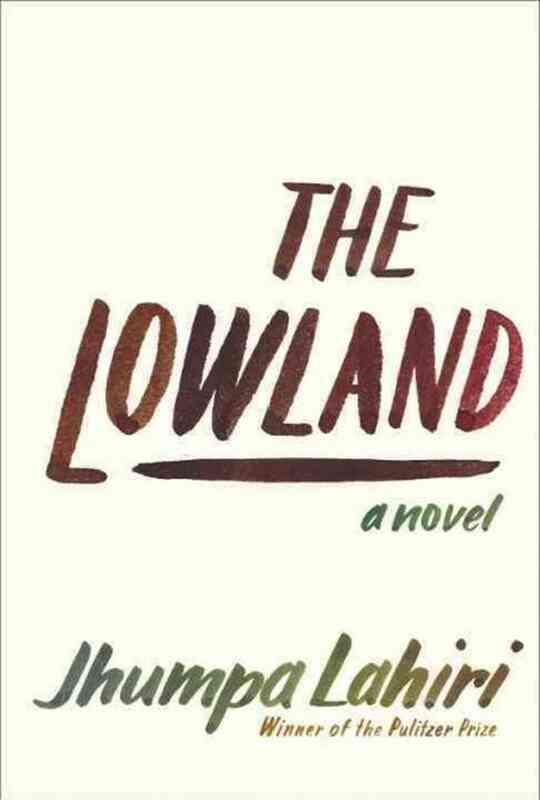 Just a couple of weeks after The Lowland was published, I saw Jhumpa Lahiri speak about the book here in DC. She remarked during the talk that Thomas Hardy is one of her favorite writers and the he was her guide as she wrote this novel. Hardy, as many of you know, is one of my favorite writers, and as I read this book I kept looking for places where Hardy’s influence shows up. I wouldn’t call the book particularly Hardy-esque, but I can she his hand in the descriptive prose and in the longing the characters exhibit. This is a book of dreams that get dashed, through chance and circumstance and through the characters’ own choices. The novel begins in the 1960s with two brothers, Subhash and Udayan, who live in Tollygunge, on the outskirts of Calcutta. Born just 15 months apart, the two are nearly inseparable. But eventually, Udayan’s adventurous spirit and sense of justice leads him to become political, getting involved in the Naxalite movement, a Communist movement that attempted to fight exploitation of the poor, sometimes through violence. Subhash, older and more cautious, decided to pursue his scientific education, eventually moving to Rhode Island, assuming that eventually he would come home and marry a bride of his parents’ choosing. As the two brothers’ paths diverge, the cast of characters grows, and each new character brings his or her own dreams and desires. Besides the brothers, there’s Gauri, a philosophy student who Udayan suddenly marries without his parents’ approval. There’s a child, Bela, born amid tragedy, a living reminder of a painful time. Bijoli, mother of Udayan and Subhash, attempts to preserve certain memories while pushing others away. These people are a family, always striving to find their own path to happiness, often operating a cross-purposes, as one person’s happiness becomes another’s pain. And this family is set inside a world where the desires of the rich keep the poor oppressed and the needs of the many may mean the sacrifice of a few. The difference was so extreme that he could not accommodate the two places together in his mind. In this enormous new country, there seemed to be nowhere for the old to reside. There was nothing to link them; he was the sole link. Here life ceased to obstruct or assault him. Here was a place where humanity was not always pushing, rushing, running as if with a fire at its back. And yet, certain physical aspects of Rhode Island—a state so small within the context of America that on some maps its landmass was indicated only by an arrow pointing to its location—corresponded roughly to those of Calcutta, within India. Mountains to the north, an ocean to the east, the majority of land to the south and west. The house, always to his regret, was too far from the bay to hear the waves. But sometimes the wind was strong enough to approximate the roar of the sea as it blew inland. A violent power, insubstantial, rooted in nothingness. Threatening, as he lay unmoving under his blanket, to tear the rooms of the house from the foundation, to fell the trembling trees, to demolish the structure of his life. I’m making this book sound like a downer, and it is I suppose, but I loved it. I loved the characters who tried to kick against the pricks, and I loved those who chose to follow a more peaceful path. And I appreciated the way those values are held in tension. The fight for justice has a cost, and not just for the ones fighting. I’ve just picked this up from the library, so I’ve only skim read your post just in case there are spoilers. I’m afraid I’m no lover of Hardy but I do love Lahiri. She is one of the few authors who have been able to persuade me of the merit of the short story. I tried to be vague, which is better than the moderator did at the event where I saw Lahiri speak. The audience nearly revolted after the third spoiler! I do think it’s possible to love this without loving Hardy–I wouldn’t have made the connection if Lahiri herself hadn’t mentioned it. I’ll look forward to hearing what you think when you read it! I need to read Lahiri’s short stories one day. So far, I’ve only read her novels, and I hear her stories are better. Interesting! I’ve been aware of all the hype for this book and am trying to decide if it’s worth reading on its own merits, and it sounds like it might be. I liked The Namesake quite a lot and probably would like reading more of her books. Thanks for the review! I liked The Namesake a lot as well, and I think I liked this a little better, partly because I was interested in some of the history, which was completely new to me. I read an excerpt in The New Yorker over the summer – actually I thought it was a short story. I wondered at the time how Subhash’s life would play out, after the story ended. I’ll put this on my list, to find out. Oh yes, if you liked the excerpt, which gets pretty far into the novel, you should definitely read the rest. It’s been a long time since I read a novel that follows the characters for several generations. That alone makes this one seem attractive. It focuses mostly on Subhash and Udayan’s generation, but you get to see how their choices play out over a couple more generations and echo back to the former one, too. I liked that about it–the way everyone is tied together, even when they don’t know it. I’m so glad you loved it. Her books aren’t “light” but they are so beautifully written. I agree. The wonderful writing propelled me right through the sometimes troubling story.